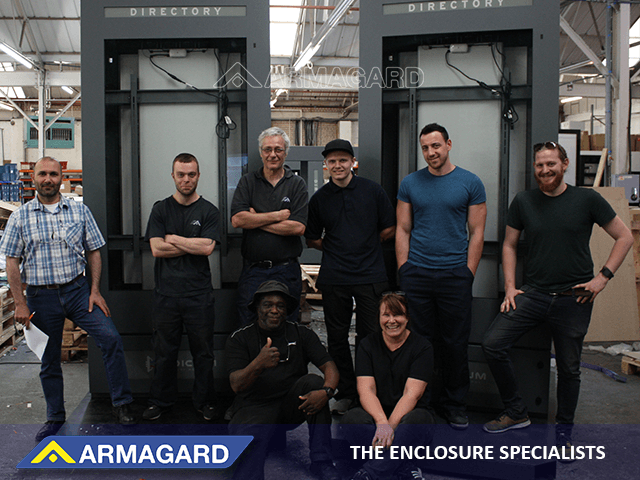 Armagard Putting UK Design Engineering on the Map | Armagard Ltd.
We write this to inspire as much as we do to share what’s been going on behind the scenes here at Armagard. British products and services are in demand, and despite challenging times ahead, there’s never been a time when the worldwide media spotlight has focused so heavily on the UK. We’ve celebrated success in the UK and across multiple international markets, such as the USA, France, Germany, Spain and Poland, reinforcing our belief that British made products and services are in demand. A number of projects have kept us busy in 2018. The standout project has to be a drive thru digital signage installation in Washington D.C., USA for a cannabis dispensary. Let down by a previous digital signage hardware supplier, despite placing an order 8 months prior to the installation date, our customer faced missing a key deadline and were pressed to find an alternative solution at such short notice. Thankfully, we were able to deliver on the custom project within 3 – 4 weeks, in time for the drive thru lane’s grand opening. The project even received local press coverage, with our products front and centre, representing UK design and manufacturing. On the back of new product launches and projects at home and abroad, we wanted to share with you, not only our successes, but encouragement that UK design engineering is in demand on a global scale. In the interests of the British business community, this is certainly worth celebrating.